Commercial Leasing, Sales, Property Management and Tenant Representation. N.E.G. Property Services, Inc. is a full service commercial real estate company with over 25 years experience servicing South Florida. From shopping plazas to strip malls, rent collection, property maintenance and tenant relations have never been easier! Find out why N.E.G. 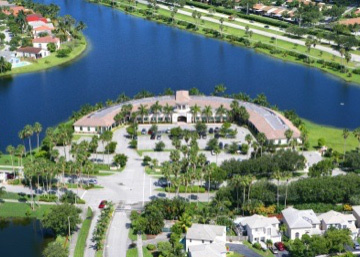 Property Services has one of the fastest growing portfolios in South Florida! Crossroads Shopping Plaza is a beautiful plaza with many long-term tenants and consistent growth. Featuring a 7.57% cap rate and below market vacancy rates, this property is a prime investment opportunity. 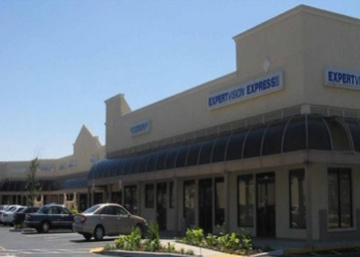 Embassy Lakes Shopping Center features many successful long term tenants. Find the perfect business location amongst other like-minded professionals. Beautiful waterfront spaces available for immediate occupancy. 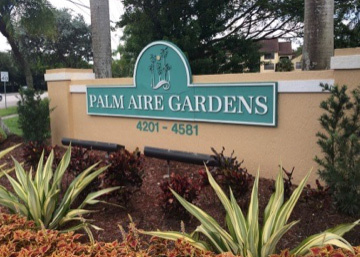 Palm Aire Village is a beautiful 15 unit apartment complex in the heart of Fort Lauderdale. Standing three stories tall with one, two and three bedroom units, Palm Aire Village sold above market rates for similar Fort Lauderdale buildings. We had been looking for property management for months, but the ones I had gotten in touch with never seemed able to meet our standards. After reviewing our requirements, Gary sent us a proposal and, after our acceptance, began working on the betterment of the property immediately. Each passing week introduced affordable projects that improved the overall value of the site to both tenant and landlord alike. Vacancies have become a thing of the past. Needless to say, we are extremely satisfied with the results. Before working with N.E.G Property Services, my property was dealing with serious vacancy issues. Now we are operating at 98% occupancy year round. Thank you N.E.G.! Gary and Nancy are just awesome to work with. Incredibly organized, easy to communicate with, responsive with questions and concerns, and great with tenants. N.E.G. Property Services has been managing and leasing our shopping center in Margate for a number of years. 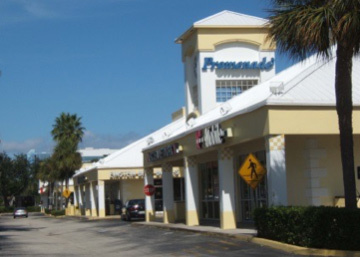 We recently contracted with NEG to manage an additional shopping center in Ft Lauderdale. We cannot be more pleased with the quality of service, professionalism and attention to detail that you and your team have provided. There should be no hesitation on the part of a Landlord to engage your services. NEG manages the properties with the same care and concern they would give a property that they themselves owned. The properties are maintained in a first class manner while always keeping an eye on the expense budget. Regarding leasing NEG are experts in the market and most importantly know how to get deals done, negotiating fairly, honestly and addressing the concerns of all parties. It is a pleasure working with you. N.E.G. Property Eervices is pleased to announce that President Gary D. Glusman has been named a 2014 CoStar Power BrokerTM by CoStar Group, Inc. (NASDAQ: CSGP), the leading provider of commercial real estate information, analytics and online marketplaces. This annual industry award recognizes distinguished professionals in commercial real estate brokerage by highlighting the achievements of the firms and individual brokers who closed the highest transaction volumes in commercial property sales or leases in 2014 within their respective markets. The Commercial Real Estate market is thriving! © N.E.G. Property Services, Inc. All Rights Reserved.